Owner Mike Callicrate explains future location changes – the current store will move to 1228 E. Fillmore by the end of year. Here’s the latest from Mike on the two new retail stores Ranch Foods Direct that will be operating by early next year. 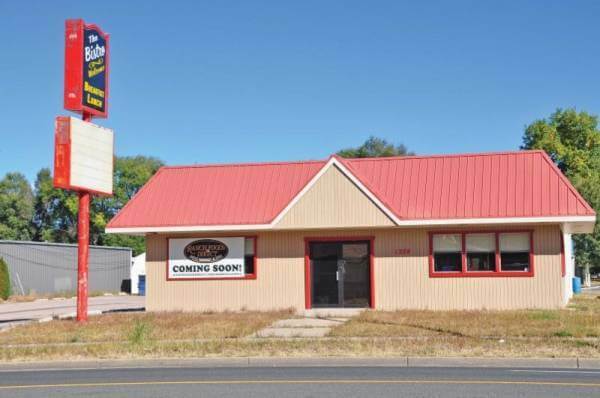 Q. Ranch Foods Direct will maintain its presence in the Fillmore business district but will soon move from 2901 N. El Paso into the previous home of the old Conway’s Red Top and more recently The Bistro, at 1228 E. Fillmore (pictured). How will the retail space there compare to what you have now and are there any new features this new location will include? Mike: We’ll have a full service meat counter with a butcher who can cut anything you want right on site. We’ll have a carcass cooler. The new building will give us 3,600-plus square feet, and although our new certified kitchen area will take up nearly half of that, we’ll still be able to offer a much larger selection of produce and bulk items such as flour and dry beans – the kind of thing you normally see inside a full service health food store. Q. Will any hot prepared foods be available on site so shoppers can grab a bite? Mike: Yes. We’ll have hot Mountain Pie Company meat pies, soups and deli items, a place for people to sit down and eat, with Colorado Coffee Merchants coffee available too. We want to provide a community gathering space that serves the neighborhood. Q. What will the new retail location inside the Ranch Foods Direct warehouse at 4635 Town Center be like? Mike: It’s going to be everything we have now plus a lot more. It will also have a full service meat counter. Our main processing space will be located there. The retail space will be comparable in size to our current Fillmore location. We hope to have the retail shop at Town Center open and operating by early next year.